Candice is a highly experienced manager with over 13 years experience in office management and senior administration roles across a range of industries. She brings a background in recruitment to her current role as Team Leader of the Interchange Bench. 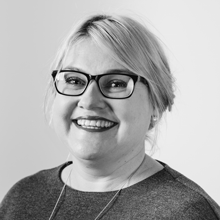 Candice has worked on many projects including database change-overs, office refurbishments, policy reviews, staff onboarding and training, and implementing new processes and procedures. ‹ There’s an Engineering skills shortage. Here’s one way to solve it.